All systems from the K&F pro.RENTAL range are designed for mobile use. Flexible, reliable and with professional fittings. Handles to make handling easier, and feet positioned where they are needed. The black coating is made of polyurea and is, therefore, more resilient than any other paint. Thought out mechanically and designed for long-term use. The pro.RENTAL series is distinguished acoustically by the best sound characteristics at maximum performance. The carefully selected neodymium chassis deliver optimum results and also meet the highest standards. K&F pro.RENTAL - impressive presentation! All K&F pro.RENTAL systems can be easily combined with the K&F SystemAmps as a drive and control unit. For maximum performance and effective protection. 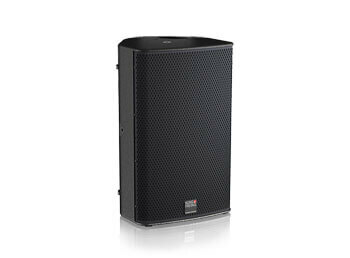 The presets include the parameters for each loudspeaker in order to achieve an optimum result. This guarantees the user consistent and reproducible results of high quality with marked high system performance. 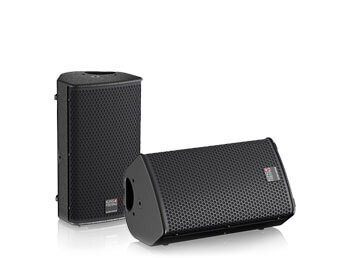 All in all - K&F pro.RENTAL are the ideal sound systems for mobile use with unlimited possibilities. In all areas, weight is crucial. In pro.RENTAL business, maximum performance and lightness are what counts. This saves costs and everyone is happy to work with it. The effectiveness is increased and the work is made easier. This is where the GRAVIS range meets the widest range of requirements every day and without compromise. Anything that is visible should be integrated optically. In the mid-high range, all systems have rotatable horn-driver combinations with a defined dispersion pattern and guarantee a homogeneous distribution of sound. The special polyurea coating, the extremely stable grille, as well as feet at all standing areas make the GRAVIS series robust against mechanical influences and exceptionally suitable for everyday use. As always, the accessory has also been optimised to the finest detail for practical use – such as through fast and tool-free assembly of the swivel bracket on the system. Advantages which the K&F GRAVIS perfectly combines. Rock on! 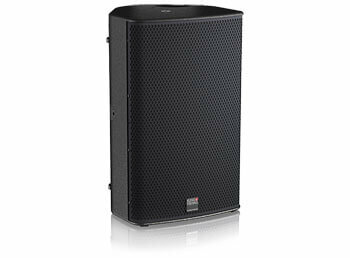 K&F GRAVIS is a true Kling & Freitag speaker with a neutral and natural sound. 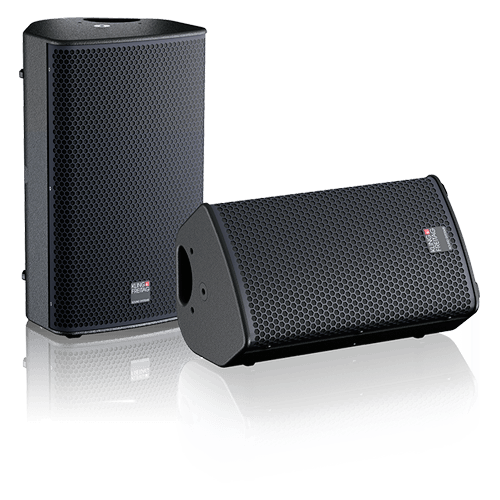 The highest quality standards in reproduction for all styles of music, maximum speech intelligibility and a thrilling live performance are the acoustic features of the GRAVIS product line. All models from the new K&F GRAVIS range combine the multifunctional and extremely compact form with the modern and subtle design. Major differences! fits on 35 to 50 mm tube, loadable 50 kg max.